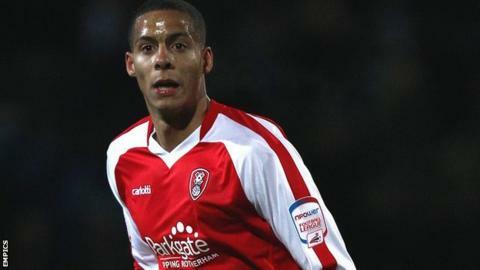 Grimsby Town have re-signed winger Marcus Marshall on loan from Bury until the end of the season. The 23-year-old scored once in 10 league games for the Mariners before being recalled by the struggling League One side. on Monday. Luton boss Paul Buckle revealed on Thursday that they had a bid accepted for the former Rotherham man but the deal fell down on personal terms. Marshall will be in the Mariners squad for the trip to Cambridge on Saturday.